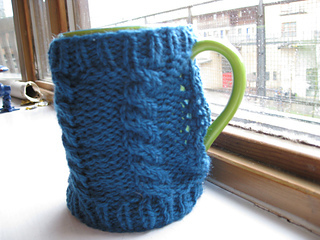 Designed for a large mug, knitted in aran (worsted) weight wool. Some knitting in the round involved. This is the first pattern I’ve ever written/shared, so please do let me know how you find it (particularly if there are any mistakes! ).